While in Maine I tend to live on oysters and lobster. Social gatherings almost always involve wine, a terrace, and a platter of icy cold saltwater clams. And while oysters are a social treat, I find lobster to be a very comforting food. Lobster tastes like childhood, like summertime, and like home. If given a choice, I would happily dine at a seaside lobster shack every single night of the week. For this reason, rarely do I step it up in the culinary department while in Maine. I can get hearty meals with delightful flavors in Amsterdam, so I tend to stick with the seasonal Maine delicacies you can only find in New England – lobster by the bucket, sweet corn on the cob, oysters, wild Maine blueberries . . . yum! However, when the lovely Amie invited me to the East Ender in Portland for her birthday, I was excited to give it a go. 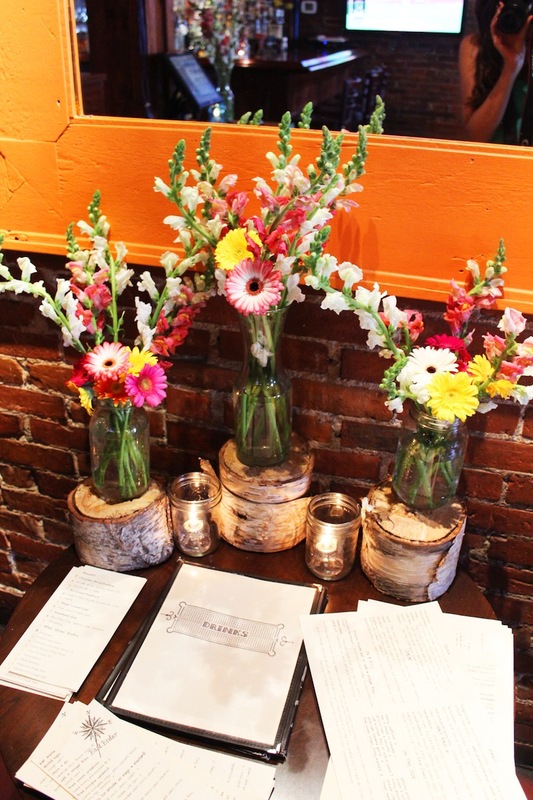 The East Ender is slightly more fancy than the dinning experiences I’m used to in Maine (think picnic benches and ketchup packets) but they still have that fresh farm to table Maine flavor I love. Amie is an excellent friend, and I have to say, she has excellent taste as well! The space at the East Ender is adorable. It captures Portland’s historic seaside charm, with bright pops of blue, exposed brick walls, nautical menus, and twinkling fairy lights. 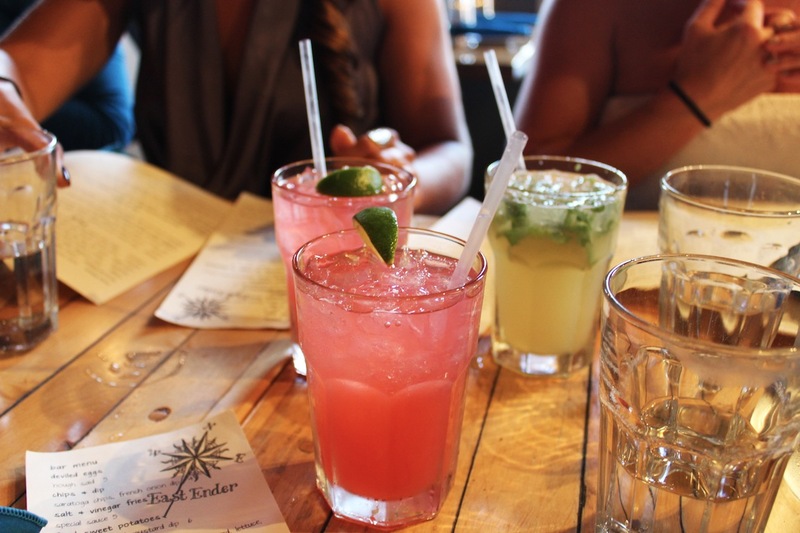 While the food at the East Ender is a treat, the drinks are absolutely not to be missed. Start your meal with a strawberry rhubarb pie martini (which speaks for itself), or a bow legged cowboy with bourbon, beer syrup, blood orange, bitters, stout, and a luxardo cherry (which needs to be sipped to be believed). We quickly filled the table up with colorful cocktails, and dove into the starters. 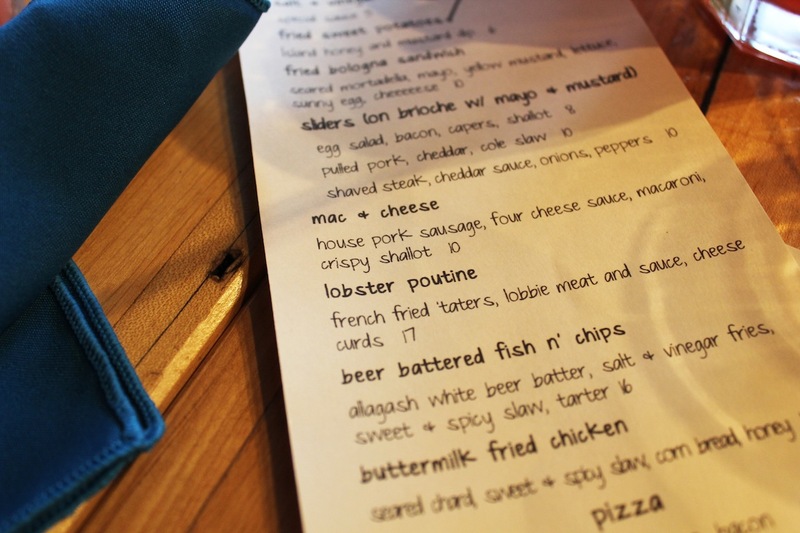 I deeply regret not going for the lobster poutine. 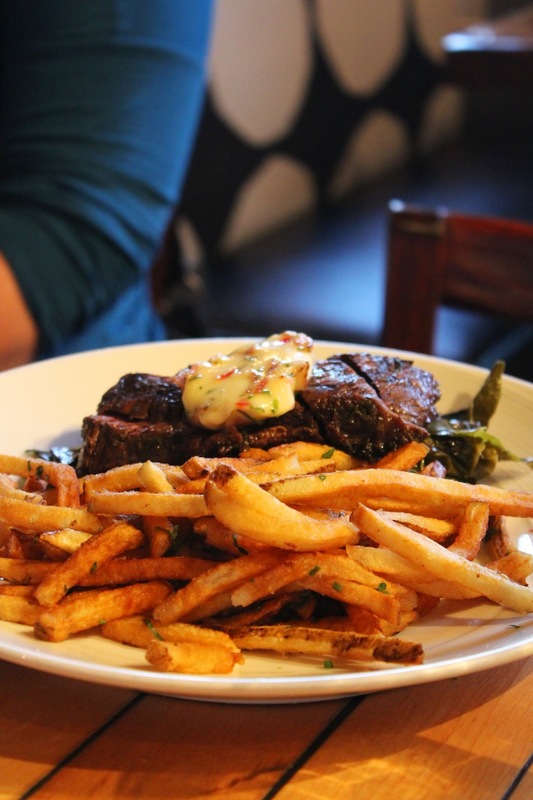 This dish sounded like a divine, Maine calorie bomb. A one of a kind that I will have to try next time I’m back in Maine. 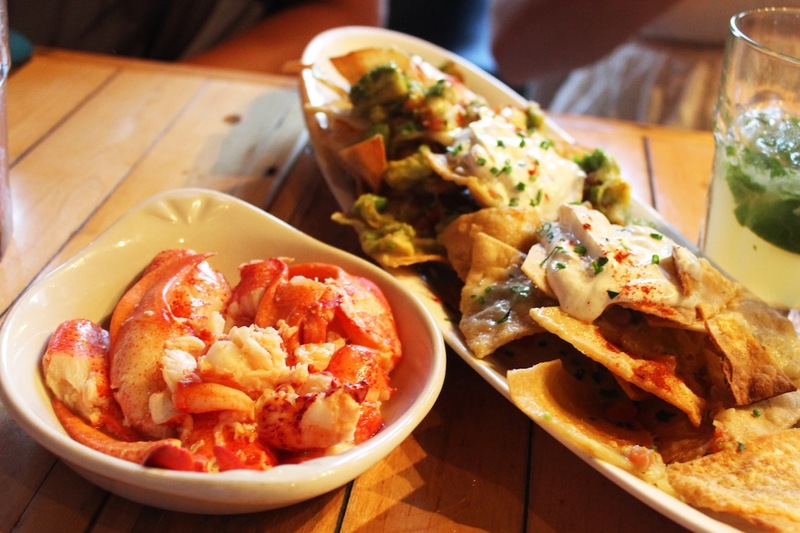 But we did opt for the lobster nachos (with the lobster on the side for the vegos at the table) which were fantastic. When our mains arrived we continued to drool. 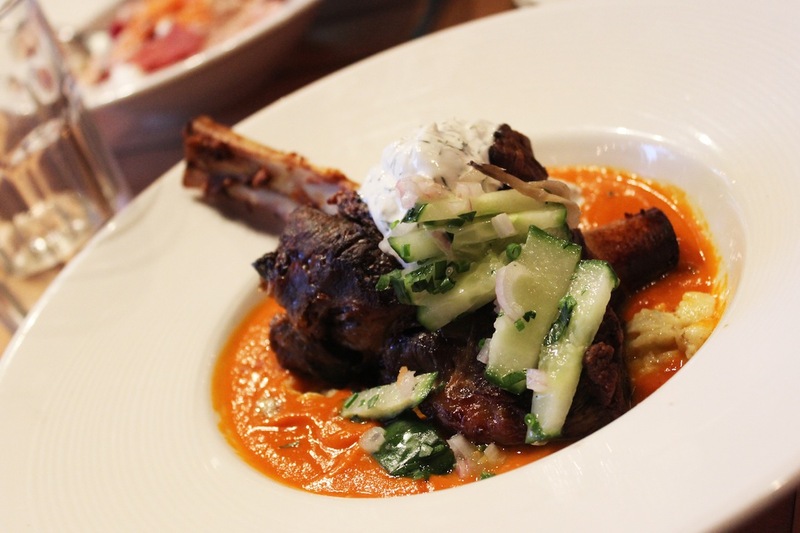 My sister Liz went for the special which was a hearty lamb dish with cool cucumbers and tzatziki. The lamb was a bit dry but the flavors were outstanding. The birthday girl went for her favorite – steak and fries, which I unfortunately did not manage to sneak a taste of ;) Most of the girls went for the beet risotto, which again had great flavors but was way over cooked. Risotto is meant to have a little bite but this batch had a consistency more like porridge. 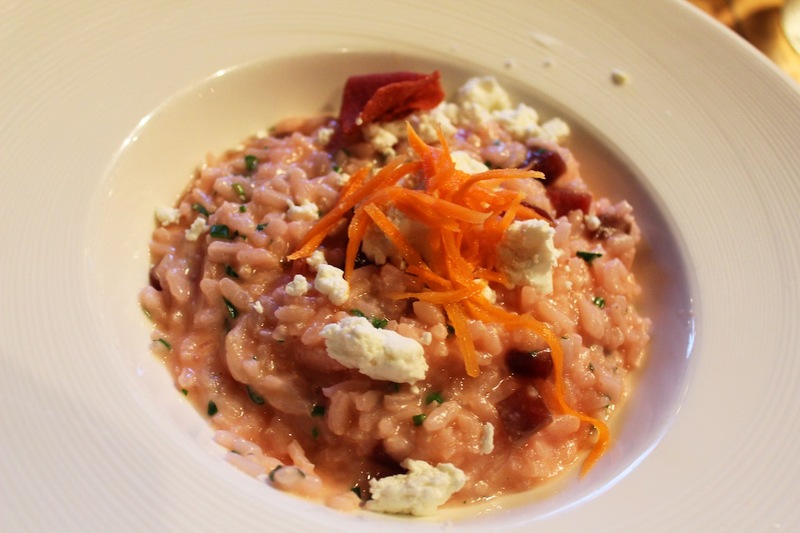 I don’t mind slightly under cooked risotto, but the second it is over-cooked, I always feel a bit cheated! Thankfully my dish was spot-on. 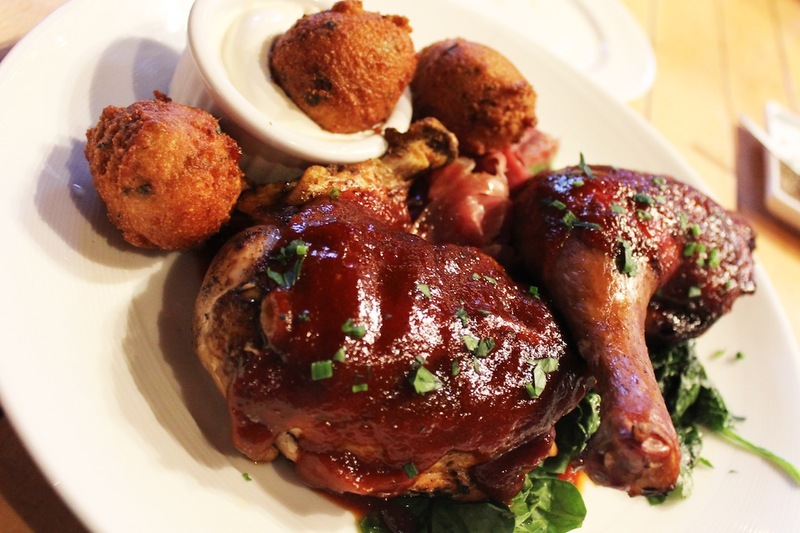 I ordered the smoked hen which came with braised spinach and prosciutto, hush puppies, maple sour cream, and mustard BBQ sauce. The meal was an explosion of flavors with a unique tang in each bite. As you can see, we were all dolled up as we planned to hit the town afterwards! vv My beautiful sister and me! And some more beautiful people, my best friend Katie and my new friend Jess :) If you’re looking for a lovely meal out in Portland, Maine, the East Ender is it. I recommend booking a table, sampling at least two cocktails, and definitely hitting up the lobster nachos! 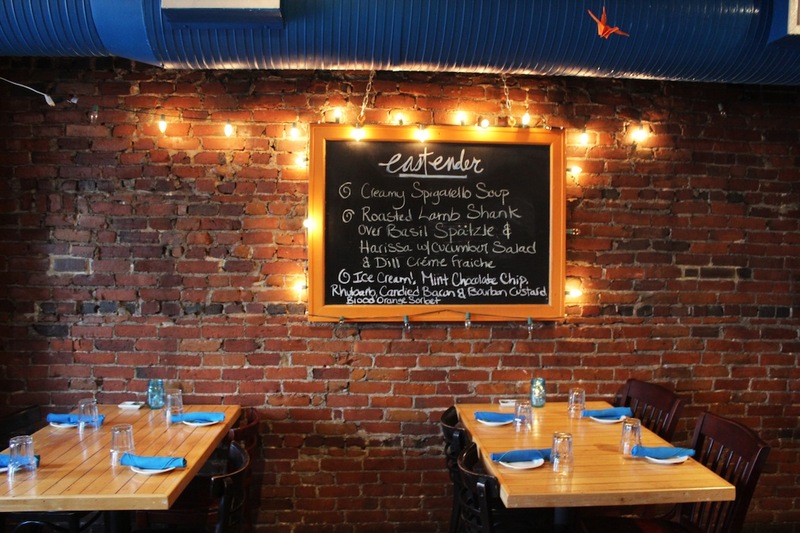 You can find the East Ender at: 47 Middle St, Portland, ME 04101, United States and their phone number is (207) 879-766. Enjoy!